One of the two candidates for the chancellorship of the University of the Witwatersrand is threatening to pull out of the elections over alleged unfair treatment from members of the senior management of the institution. Dr Anele Mngadi, a prominent businesswoman and strategist, says she is considering legal action over the treatment she says she has faced. Mngadi’s allegations against various members of the Wits University management include claims that she has been sidelined and treated like a “bridesmaid”, while her rival for the chancellorship, Dr Judy Dlamini, has received far better treatment. Dlamini, a medical doctor and businesswoman, and Mngadi are the only candidates in the race to replace former Deputy Chief Justice Dikgang Moseneke as the chancellor of Wits. When asked about the claims by Mngadi, Dlamini declined to comment. Mngadi told Wits Vuvuzela that she had heard a recording in which Wits Registrar Carol Crosley said prejudicial things against her candidacy. Mngadi added that she had communicated her concerns in a June 26 letter to Crosley and acting vice-chancellor, Prof Tawana Kupe. With a subject line that read: “RESTORE MY DIGNITY: I am no bridesmaid”, Mngadi’s email stated that she was pulling out of the elections due to unfair treatment in the elections. 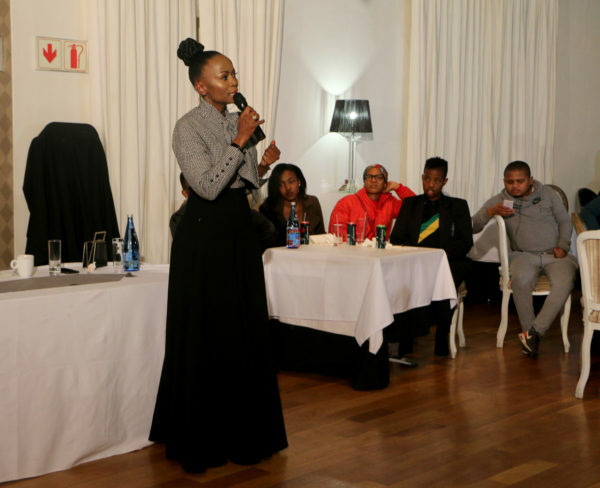 On Tuesday, July 24, the university distanced itself from an event at the Wits Club that was advertised by the Wits Postgraduate Association (PGA) at which Mngadi addressed a gathering of about 100 students. “The university is not party to the organisation … nor has it authorised any other party to do so on its behalf,” the statement issued ahead of the event, read. “The organisation of all events pertaining to the election of the university’s chancellor is the prerogative of the university,” the statement continued. Mngadi‘s speech addressed issues of leadership and the role of a chancellor at a university. “Although a chancellor does not play an executive role like a vice-chancellor does, chancellorship should still not be a title of honour. As an academic, a chancellor should not be reduced to only conferring degrees,” she told the students in attendance. ERROR: The article originally said the event at Wits Club was “organised” by the PGA, when it should have read “advertised” by the PGA. This error has corrected in the copy above.